Starting this Friday, I will be working for Opici Family Distributing doing in-store tastings. I am very excited about this new challenge as it will offer me the chance to learn about a large number of imported wines and allow me to share that knowledge with the general public. I will have a day or two to become familiar with the 3-5 wines I’ll be pouring at the event, then be present to share these wines with anyone who comes into the store in which I’ll be working. I’m very much looking forward to the opportunity and hope that I will meet people who share my interest in wine. One of the best things about this new job is that I will be working with some pretty interesting and fun wines. 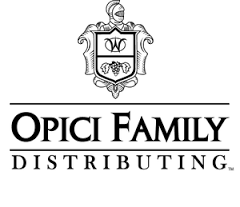 I’ll be working for Opici Family Distributing and I get to represent the sister company’s – Opici Wines, Wine Enthusiast Importer of the Year – portfolio. Even so, it’s hard *not* get excited about working with wine and sharing information with others. Check out the links I’ve included – the Opici Family Distributing Company is linked first… the Wine Enthusiast’s article is linked second. Stay tuned for info on the wines I get to share with people and find out more about this great opportunity. I’m really excited to share the Opici wines as well as my recipes and blog with those who might be interested.